Delhi, parts of Uttar Pradesh and Haryana account for about one-fourth of foreign direct investment (FDI) received by the country during April-December 2018-19, according to the government data. On the other hand Maharashtra, Dadra and Nagar Haveli and Daman and Diu accounted for about 24 per cent of the total FDI during the period. The data is based on information provided by companies to regional offices of the Reserve bank of India and does not necessarily means that investments have been made in that particular area. 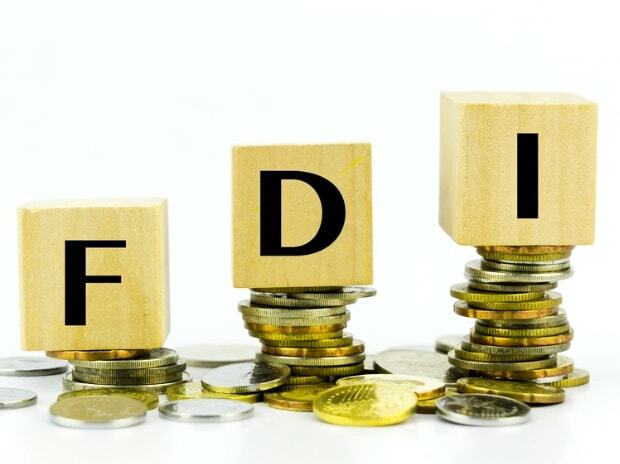 FDI worth $8.3 billion was reported in the national capital region during the nine-month period ending December 2018. While Maharashtra region received $8 billion in the same period. The other regions where foreign inflows reported include Bangalore ($4.44 billion), Chennai ($2 billion), Ahmedabad ($1.67 billion) and Kanpur ($26 million). During this period, total foreign investments in India declined by 7 per cent to $33.5 billion. The key sectors that received the maximum foreign investment during the nine months of the fiscal include services, computer software and hardware, telecommunications, trading, chemicals, and automobiles. Singapore was the largest source of FDI during April-December 2018-19 with $12.97 billion inflow, followed by Mauritius ($6 billion), the Netherlands ($2.95 billion), Japan ($2.21 billion), the US ($2.34 billion), and the UK ($1.05 billion). A decline in foreign inflows could put pressure on the country's balance of payments and may also impact the value of the rupee.